Following preliminary work during 1999-2000 (Dix, Arnott, Best, Moody and Gregory) this fully funded project started in October 2000 and represented a joint venture between the University of Southampton, the National Museum of Denmark (NMF) and the Swedish University of Agricultural Sciences in Uppsala. National and international governmental organisations have recently recognised the necessity for the in situ preservation and management of our underwater cultural heritage. These bodies consider it essential that this is achieved through non-destructive, non-intrusive survey rather than excavation. In response to this demand we aim to develop a non-intrusive technique capable of both identifying wooden materials buried in the marine environment and assessing their state of preservation. 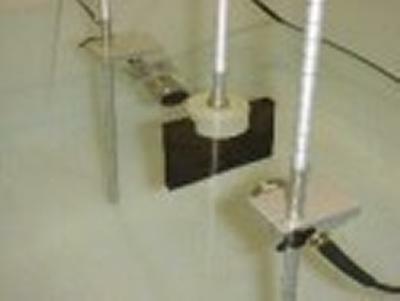 As a first step towards establishing this technique, laboratory based ultrasonic propagation methods are to be used to measure the velocity and attenuation anisotropy of compressional and shear waves in both modern and archaeological wood samples.